7. izmēra bumbas ir piemērotas pieaugušajiem, savukārt ar 6. izmēra bumbām parasti spēlē sievietes un jaunieši, bet 5. izmēra bumbas izmanto bērni un jaunietes. Pieejamas arī bumbas ar mazāku izmēru, kas piemērotas pašiem jaunākajiem. All New X Series Technology - parallel pebble construction for complete consistency of touch no matter where the ball is held. Flat pebble surface and full flat seams to increase the contact area and create maximum grip and control. A more consistent back spin allows for more precise shooting and passing. All new colour increases visibility of ball rotation at greater distances allowing both players and spectators to see every detail of play. 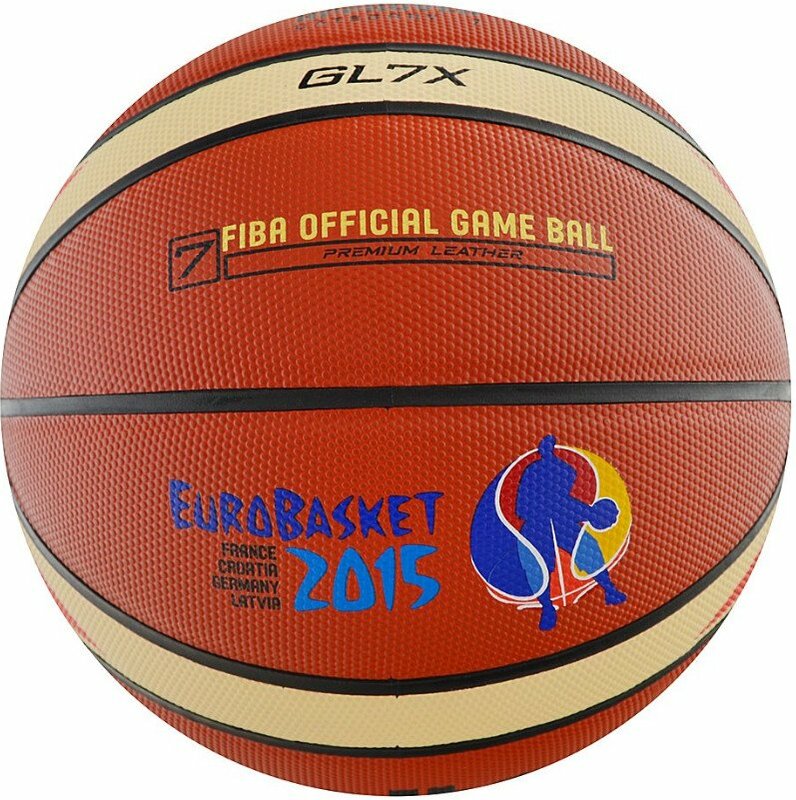 Official game ball for all FIBA competitions world-wide, Official game ball fo every top International competition. FIBA Approved top grain leather basketball.